Back of the above deed. Aurin Goodgame Horn married Sophia Dekle , daughter of John L. Dekle, in 1816. After Sophia died in 1836, Aurin married Ellen Dekle in 1841, daughter of George Dekle and Nancy Rountree. All are listed in the genealogy section of this web site. 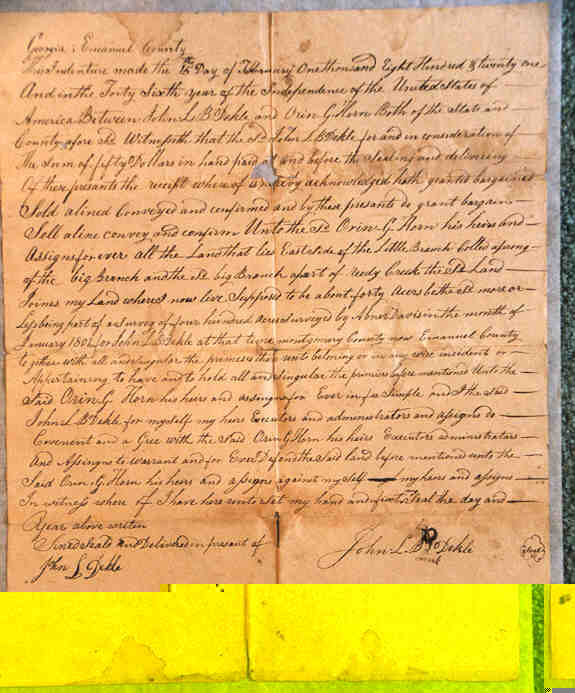 This deed refers to a survey done for John Dekle in 1801, but I have not been able to find any written records of that survey. Also notice that the deed is from John L.B. Dekle to Orin G. Horn and was witnessed by John L. Dekle. 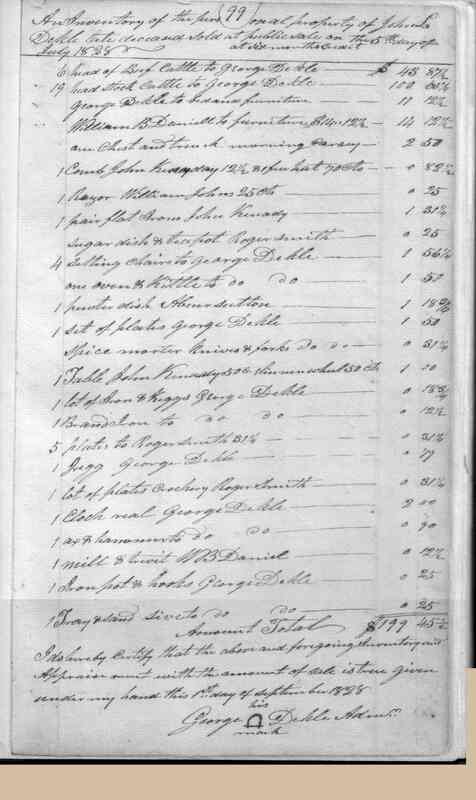 Since John L. Dekle, son of George Dekle, was born in 1798 he would not have had a survey done when he was only three years old. He would have been 23 years old when this deed was written. Therefore, I assume that the John L.B. 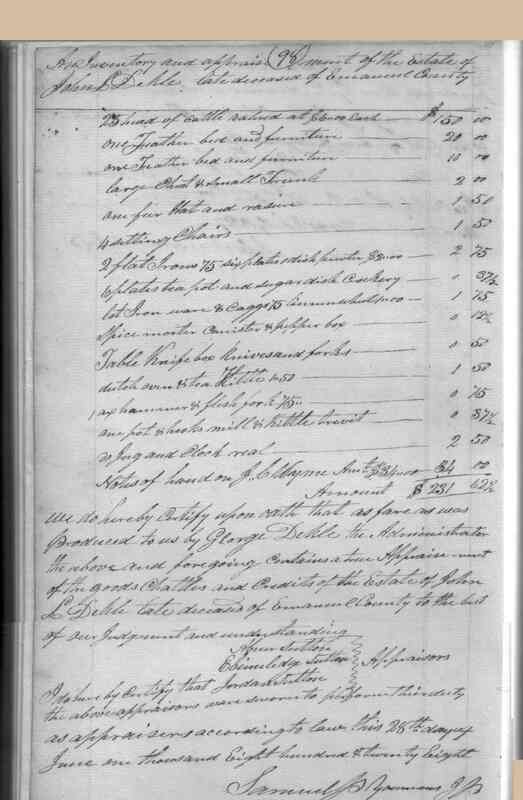 Dekle in this document was the immigrant. What the B. stands for is unknown to me at this time. I cannot find it mentioned in any of the family histories. If you have any ideas along this line, please e-mail me. 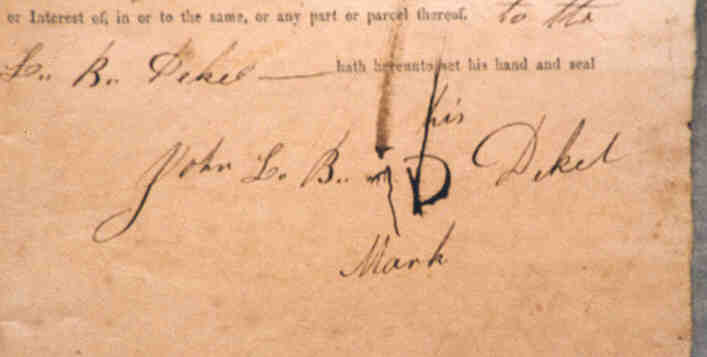 Below is the enlarged signature on above deed. 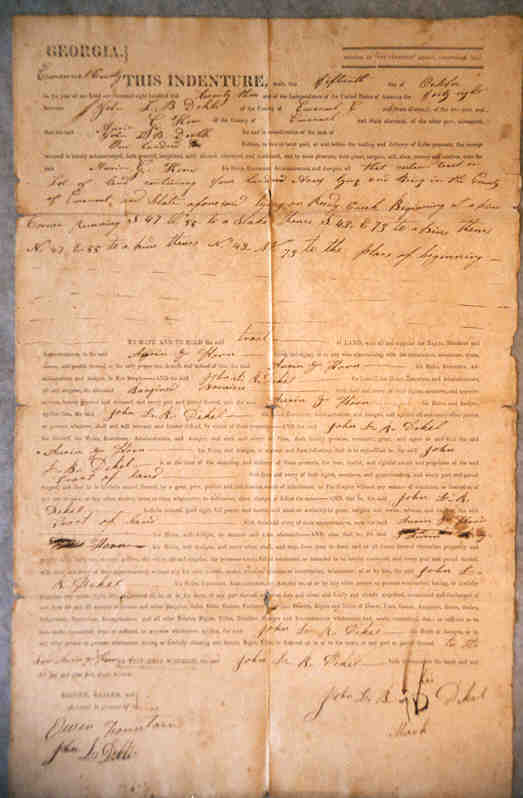 Below is the back of the above deed. Note: George Dekle's mark, the sign of the hat at the bottom of this document. Click anywhere on document for a LARGE blowup.